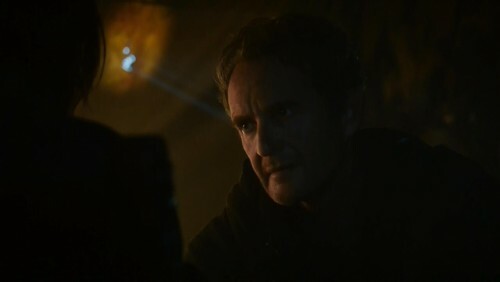 A grandfatherly-seeming older man, Qyburn was once a maester of the Citadel until his chain was stripped away from him due to unsavory studies that he conducted. Intrigued by death and the question of whether spirits live on, he is said to be a necromancer. He serves as healer to the Brave Companions. The Brave Companions were not introduced in season 2, and it seems likely they are quite changed. Qyburn may be introduced as Lord Bolton’s healer, or perhaps he will be attached to some other company of men.